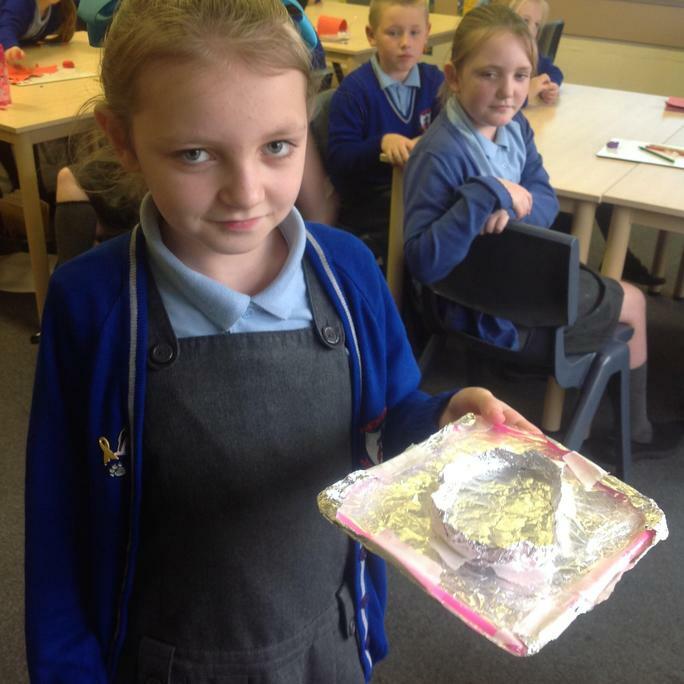 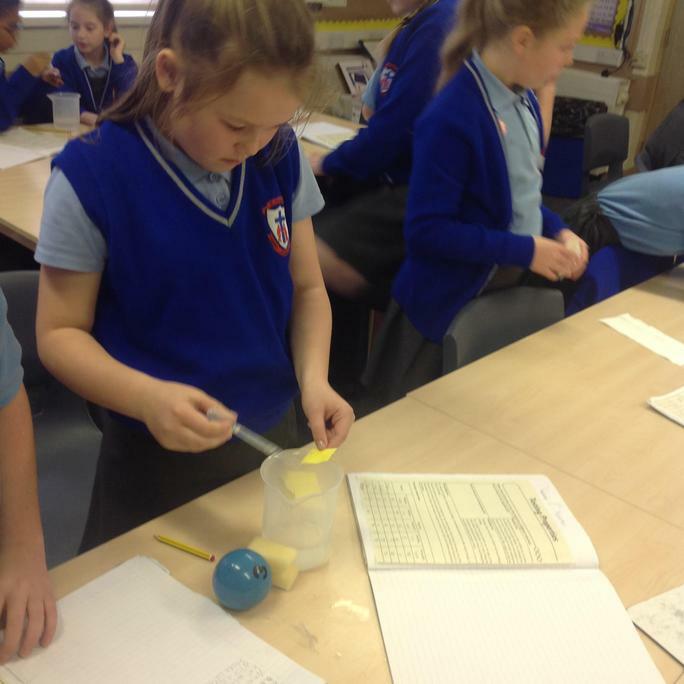 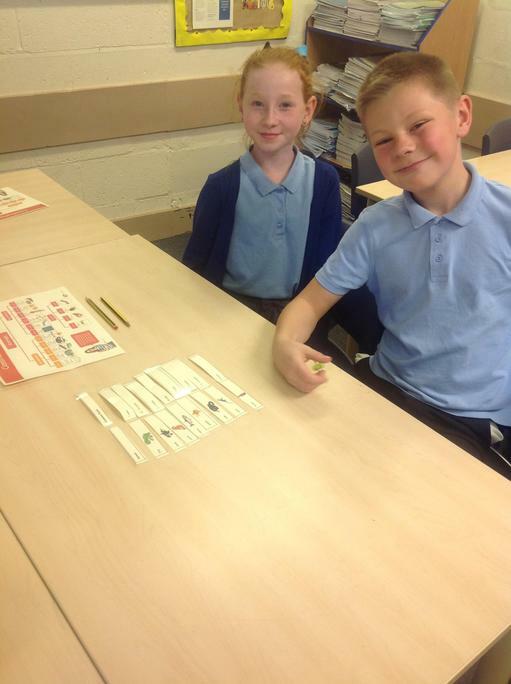 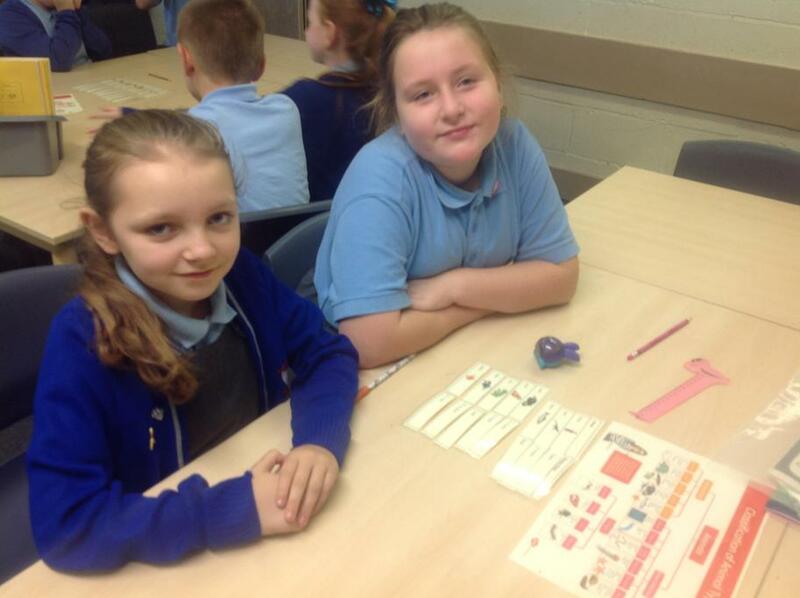 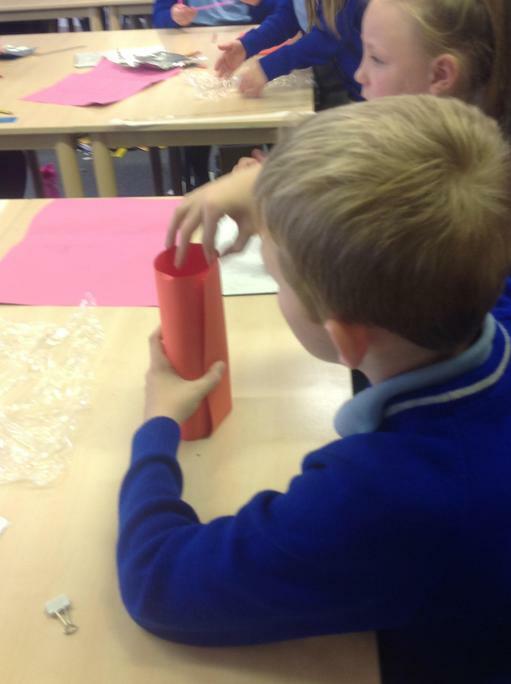 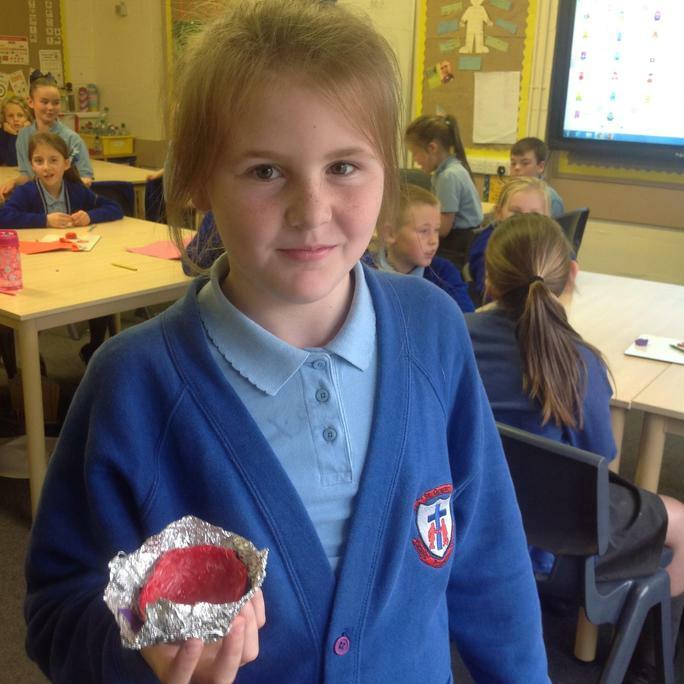 We have been investigating and testing the properties of different materials. 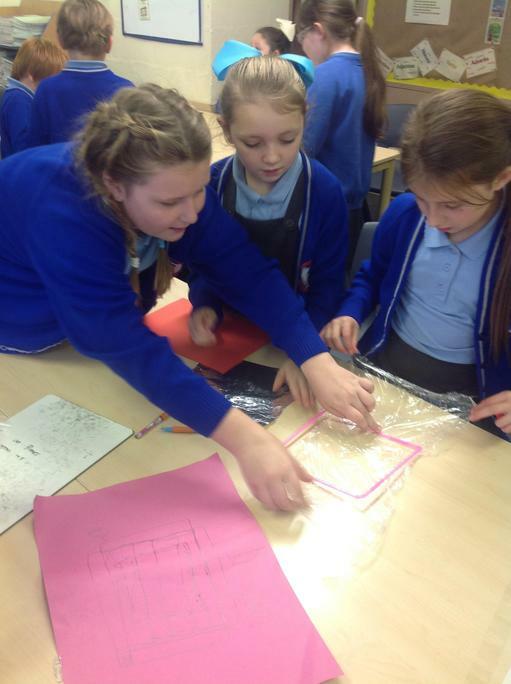 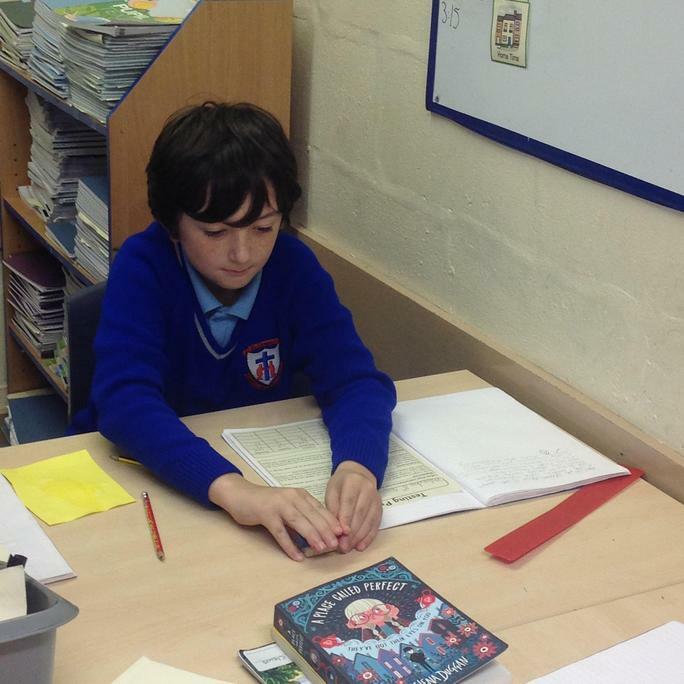 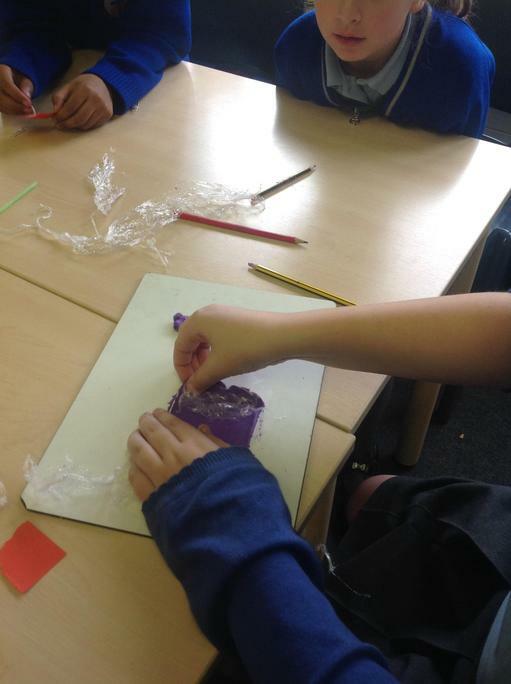 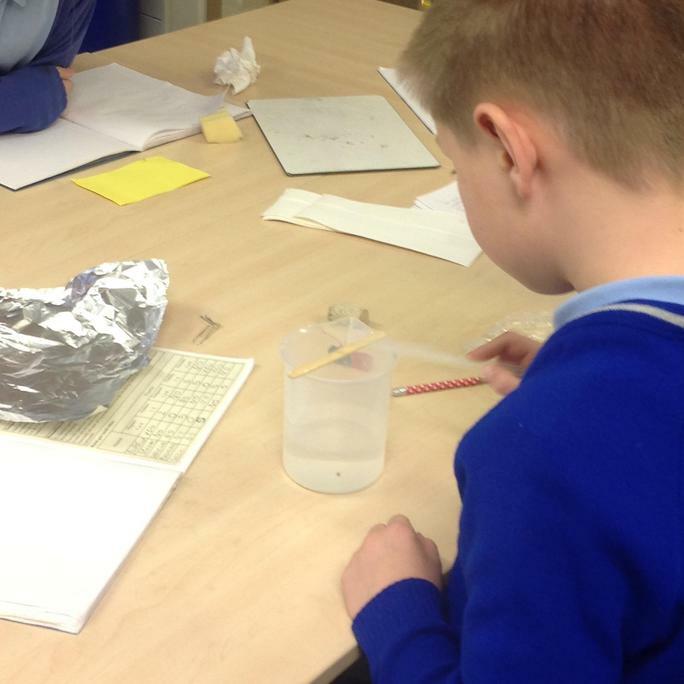 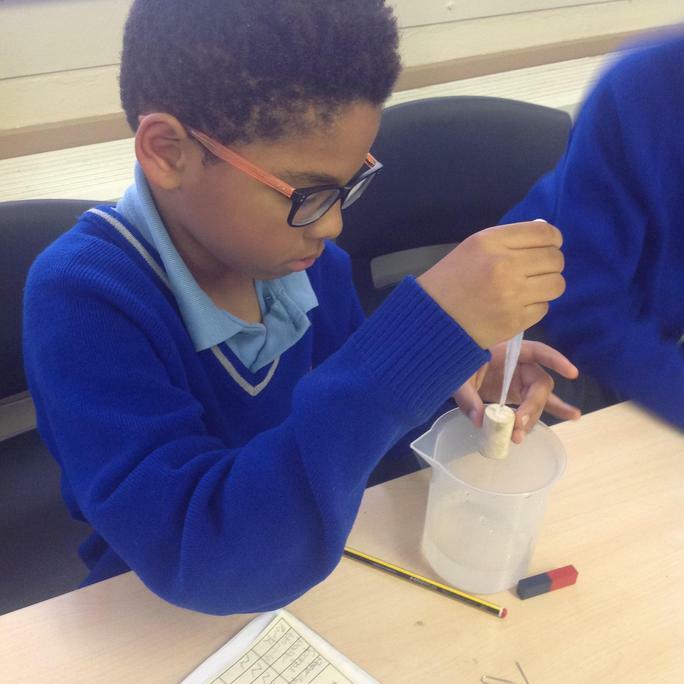 We have been testing the magnetism, transparency, absorbency, translucency, hardness and flexibility of lots of different every day materials. 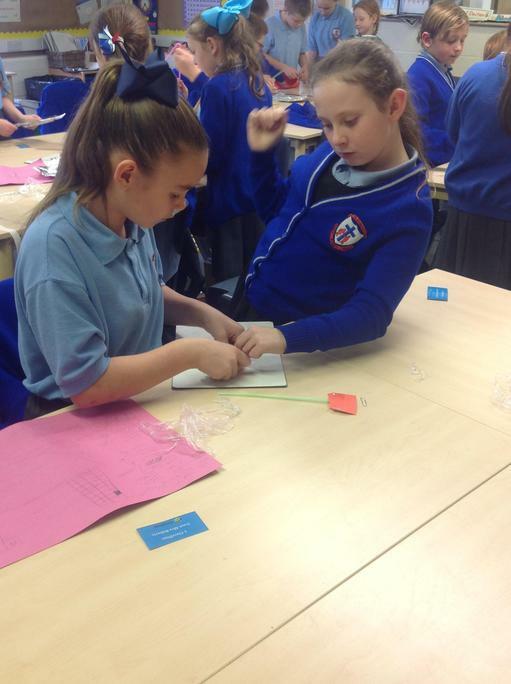 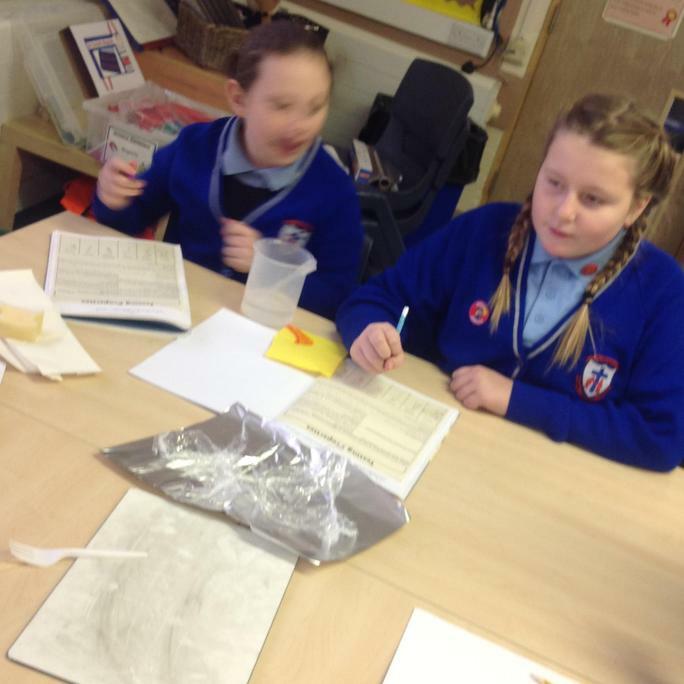 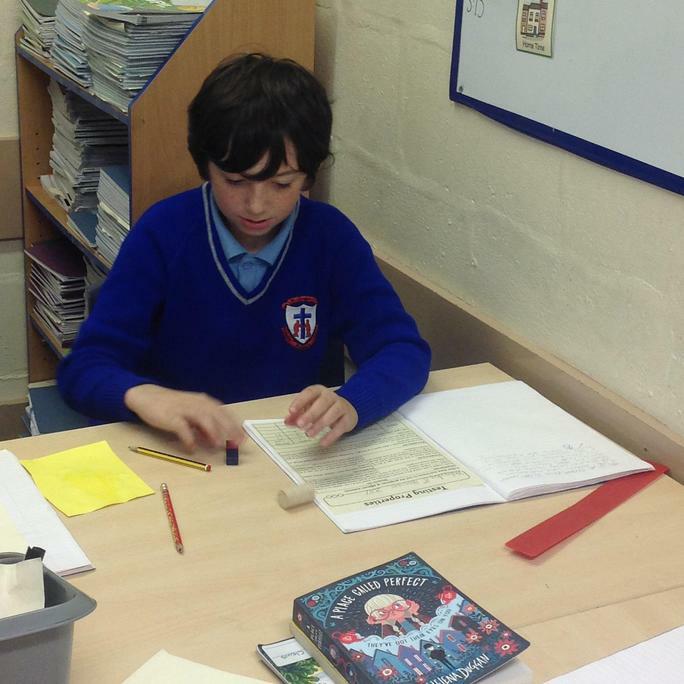 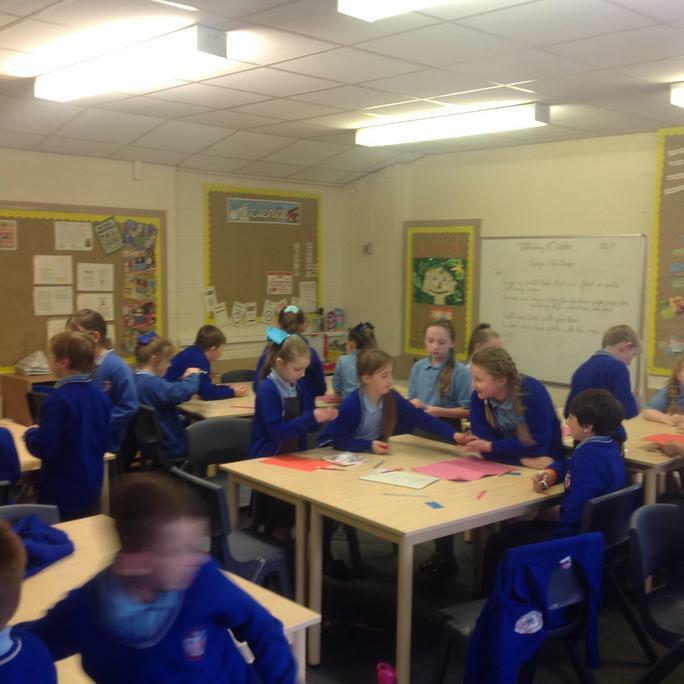 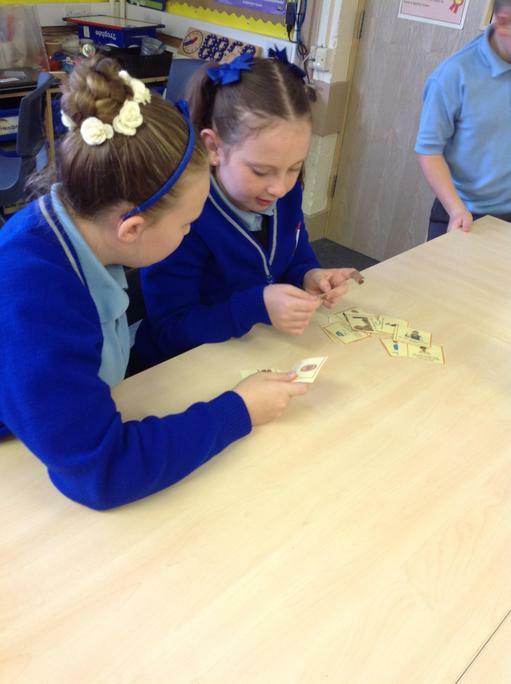 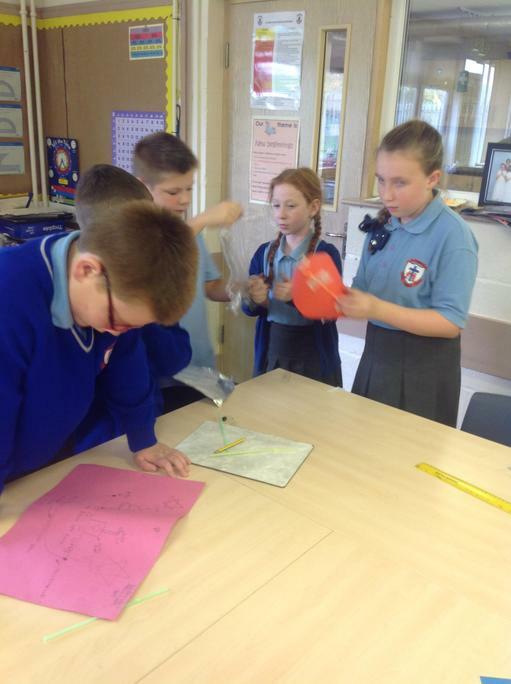 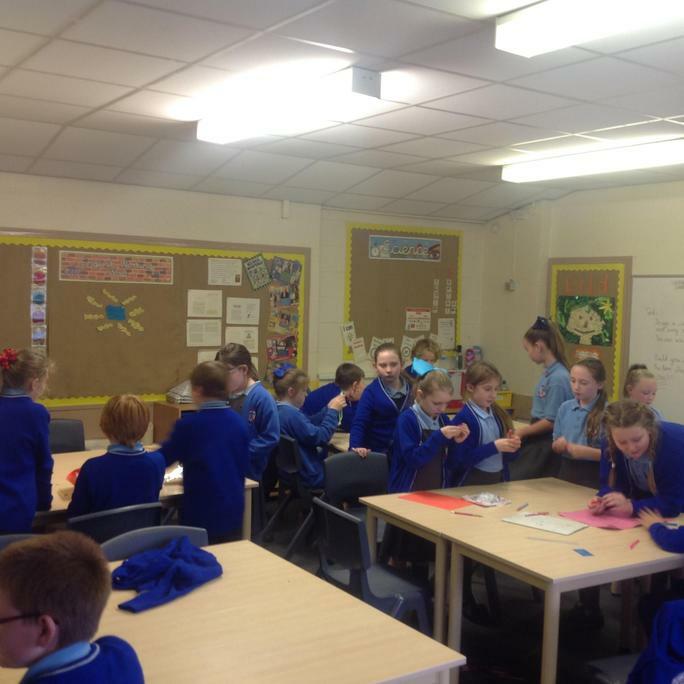 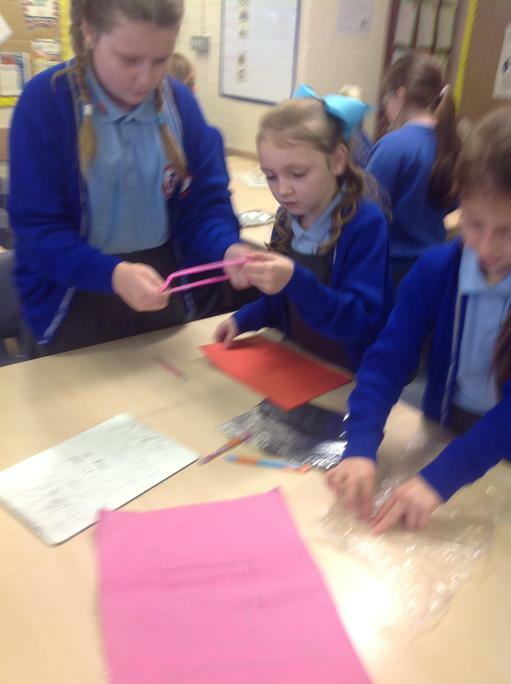 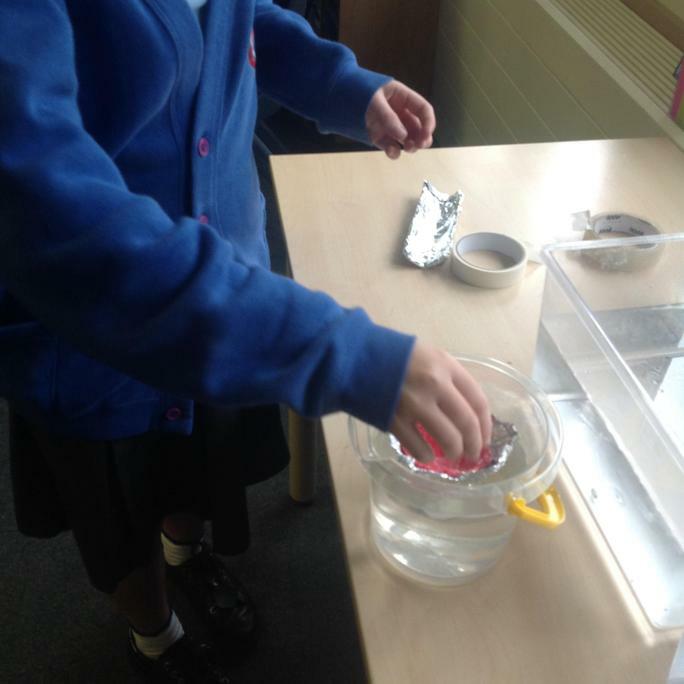 During science week we have been researching the Titanic and investigating materials that float and sink. 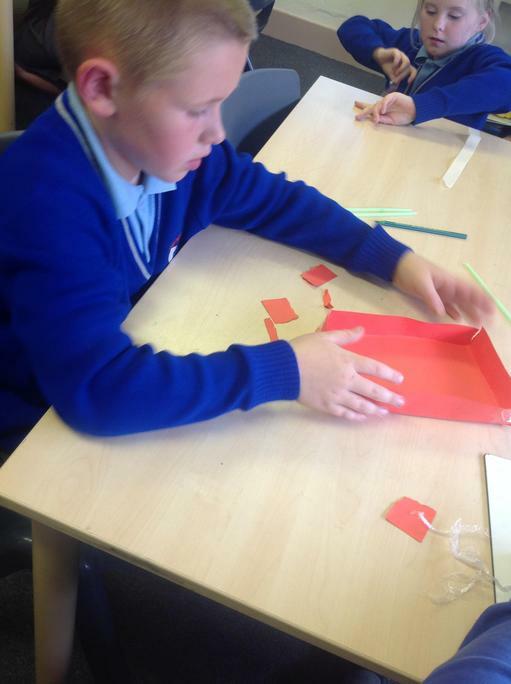 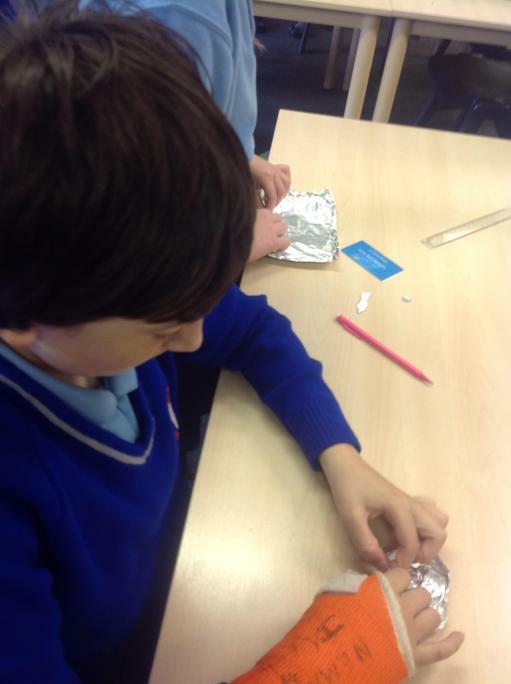 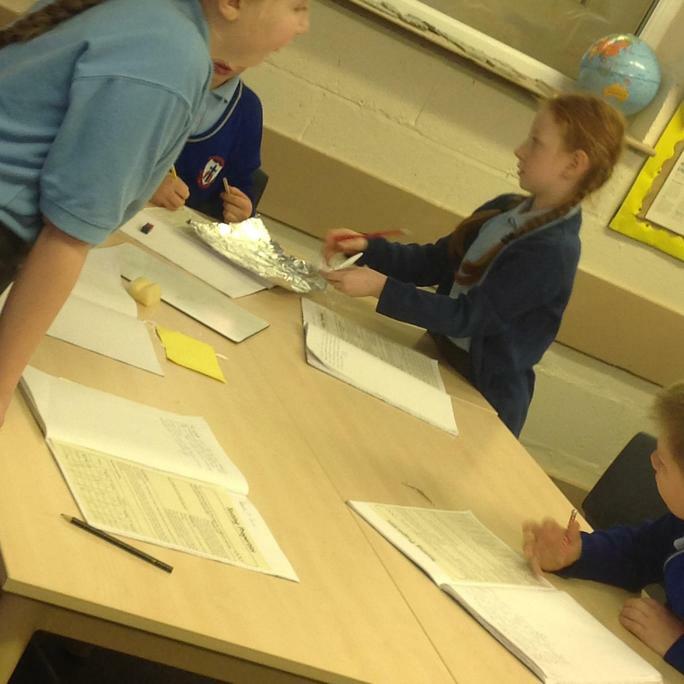 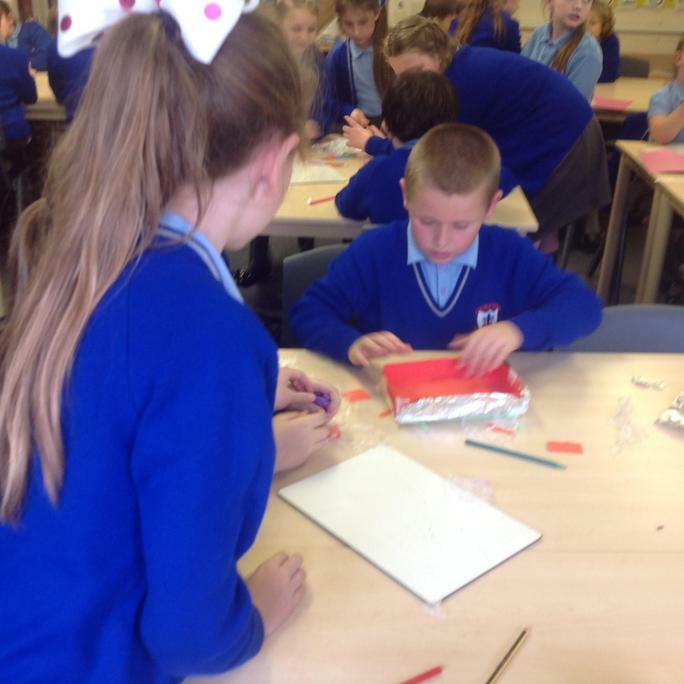 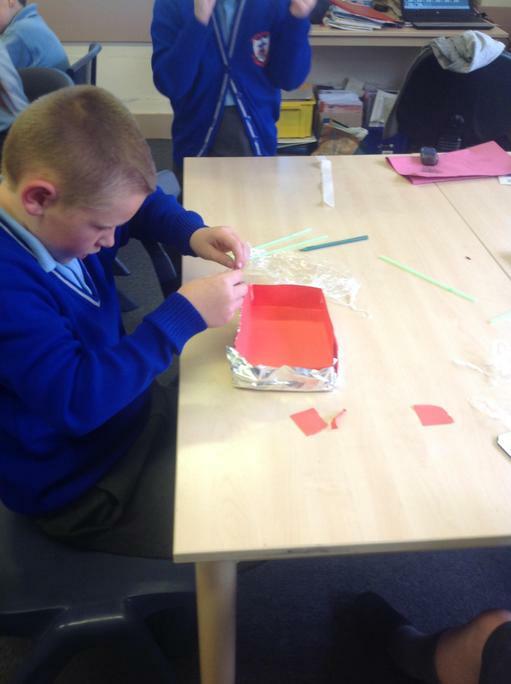 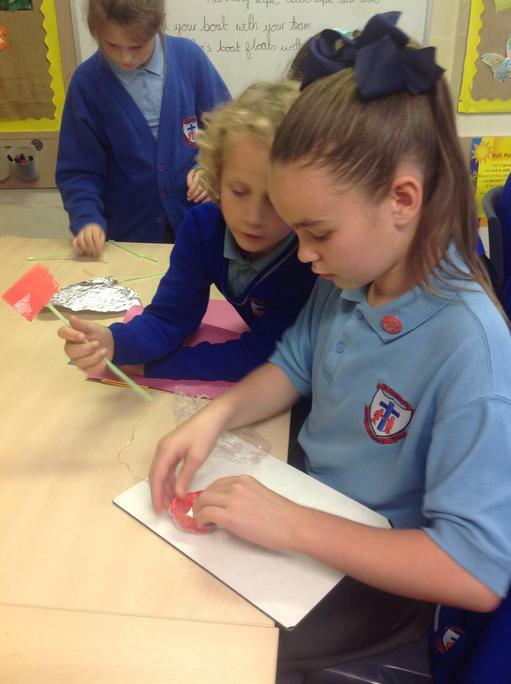 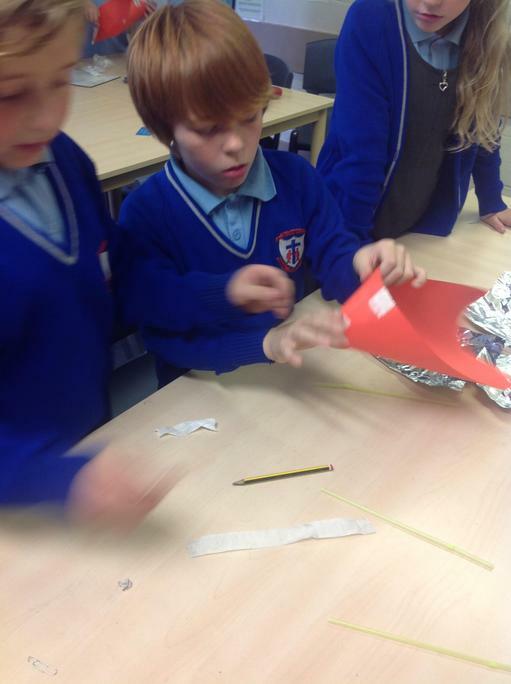 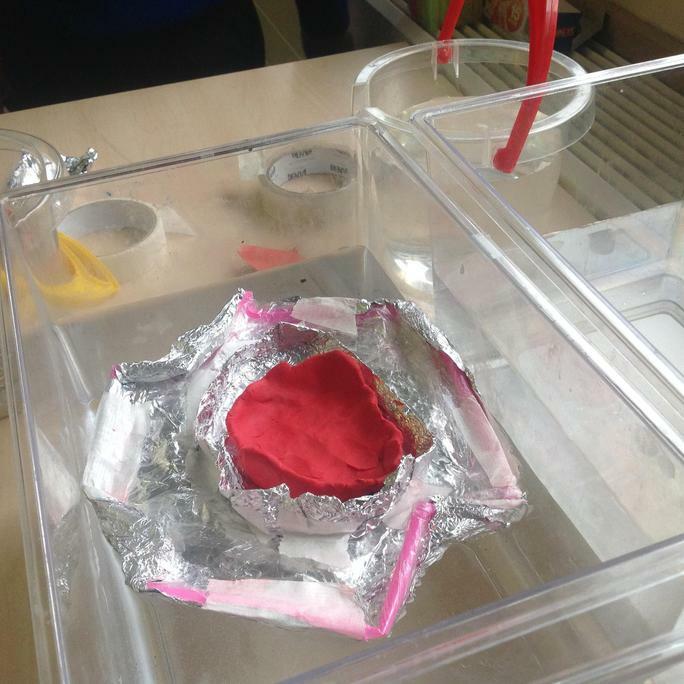 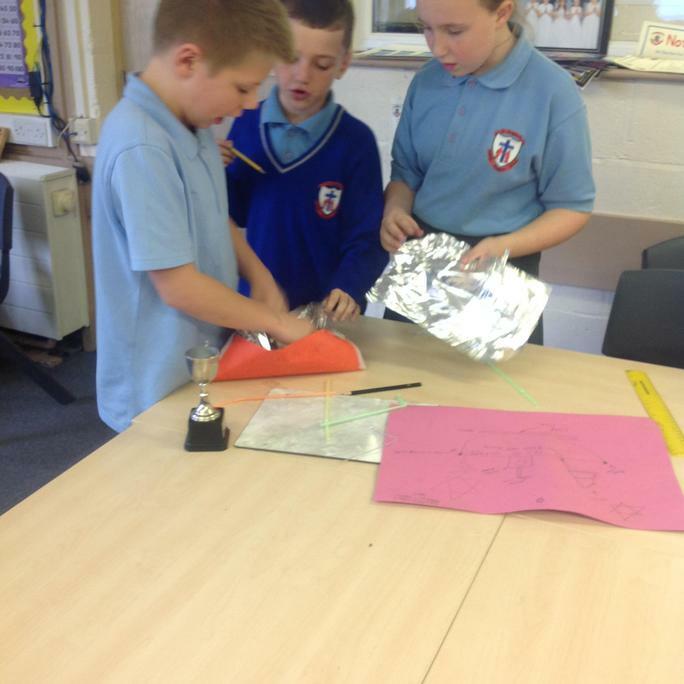 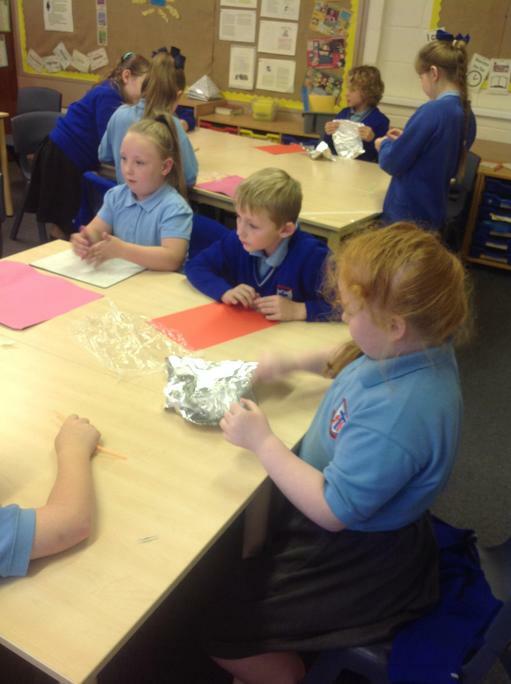 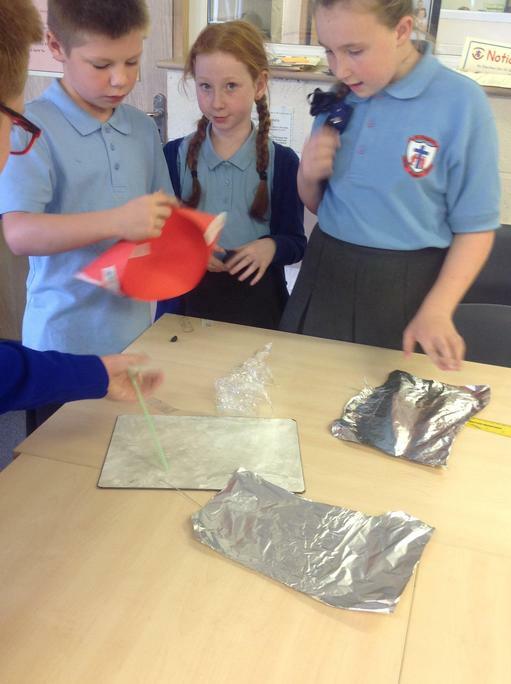 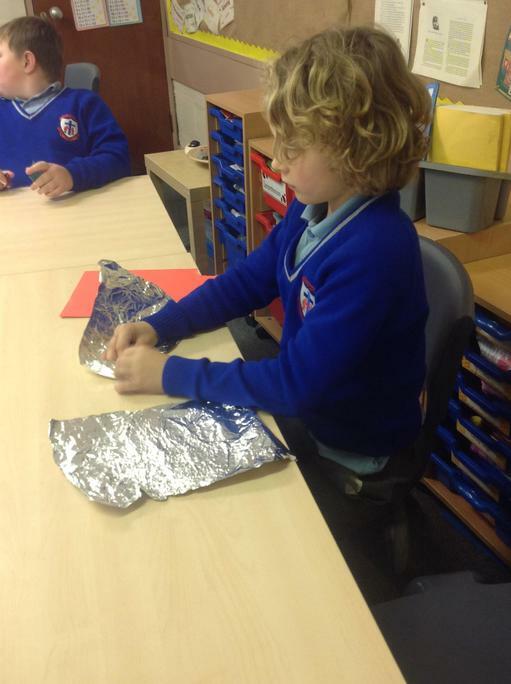 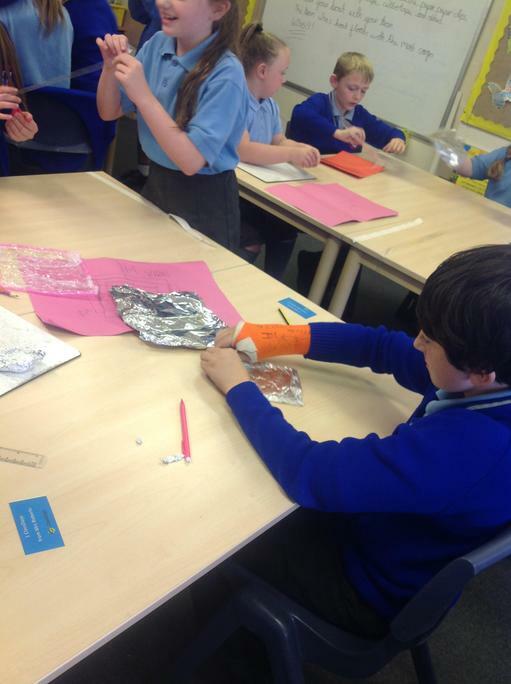 We designed and created our own boats choosing materials from: paper, tin foil, plasticine, sellotape, cling film, straws, masking tape and paper clips. 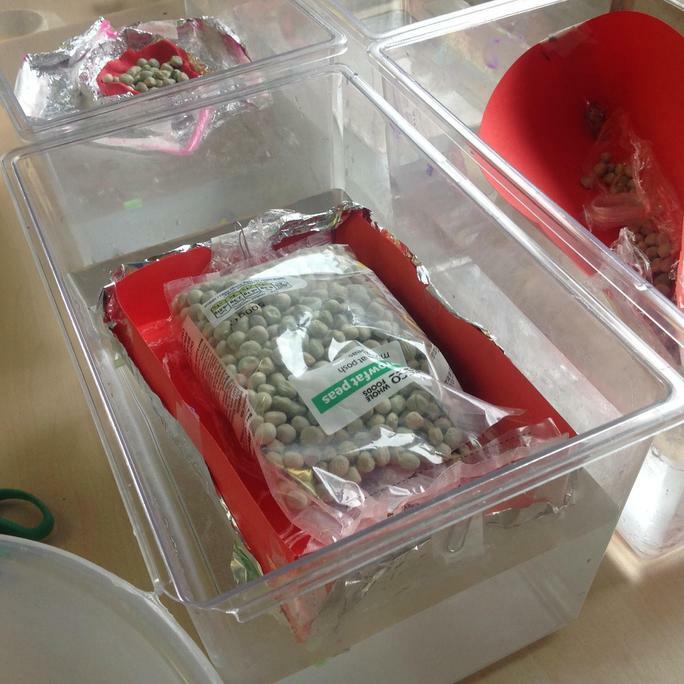 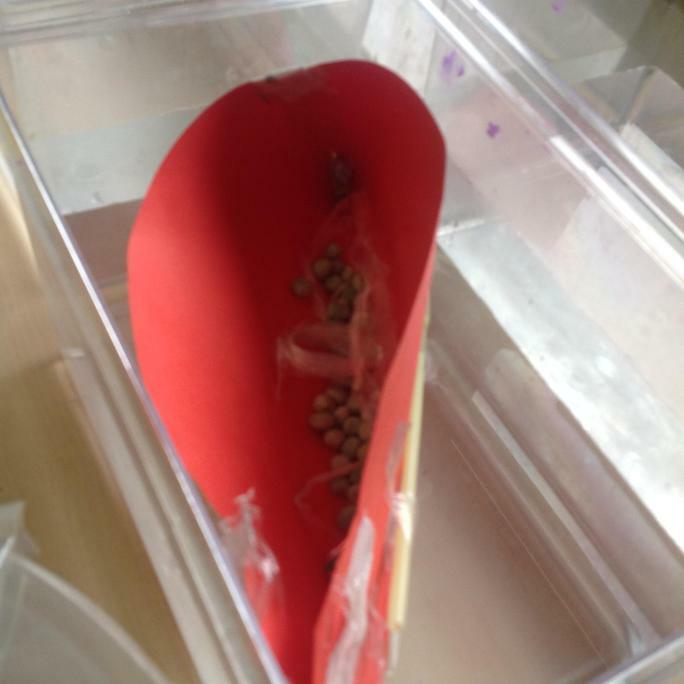 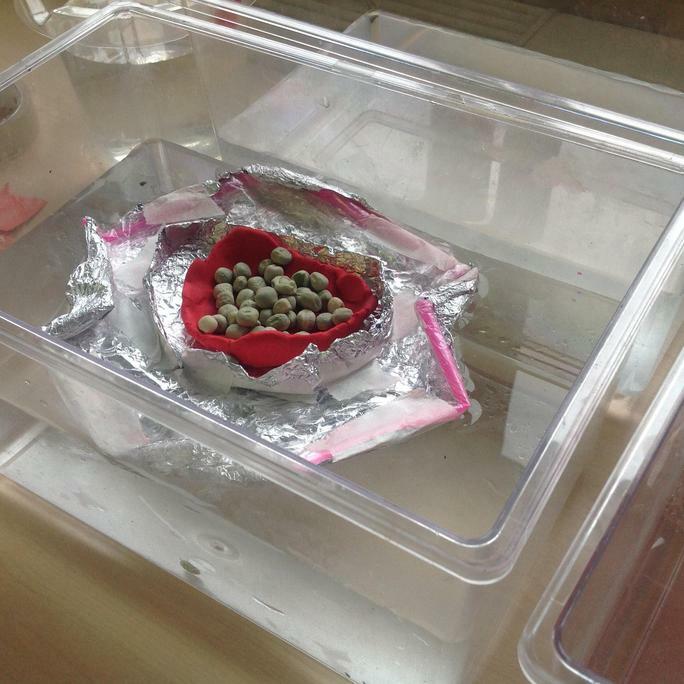 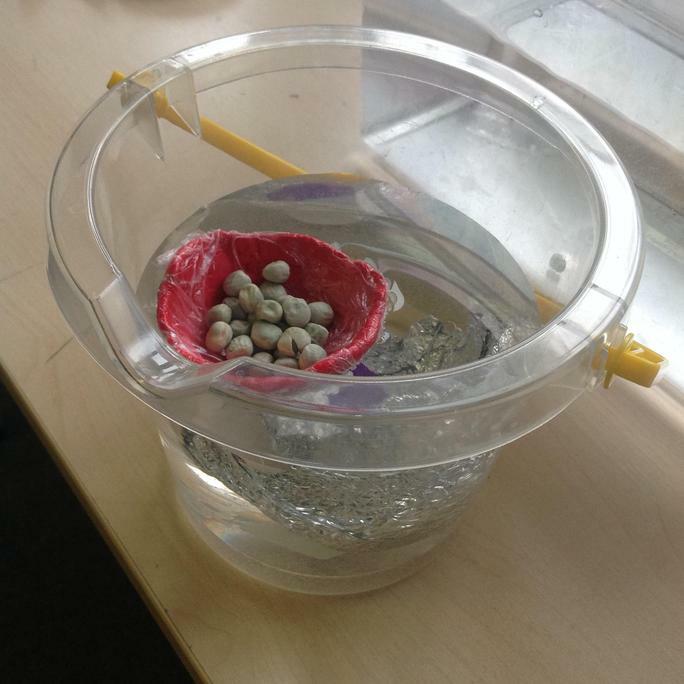 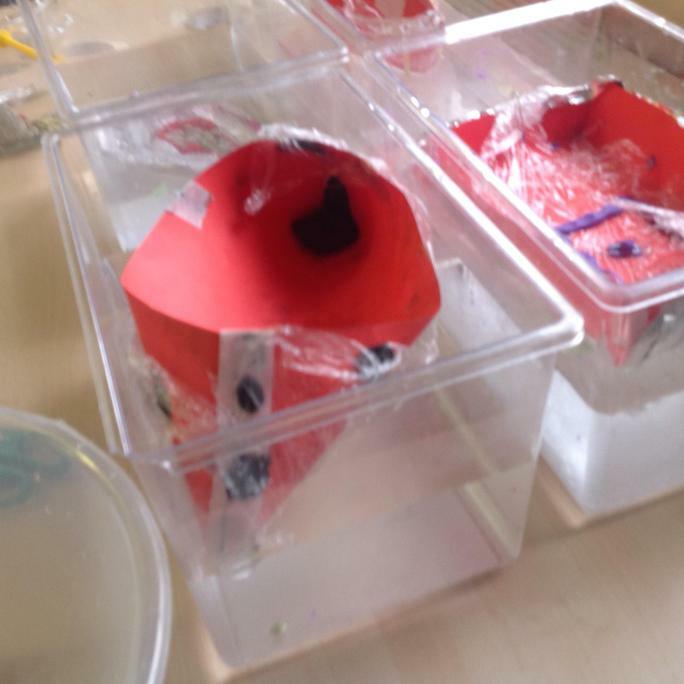 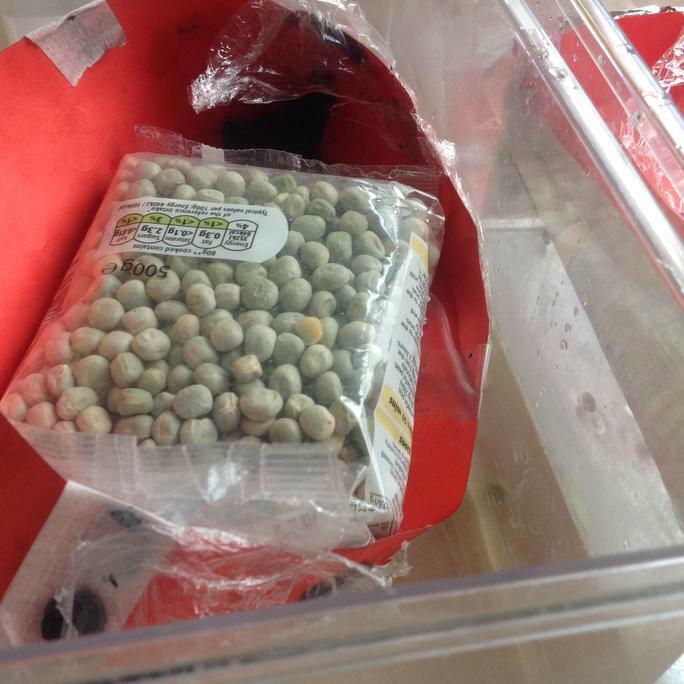 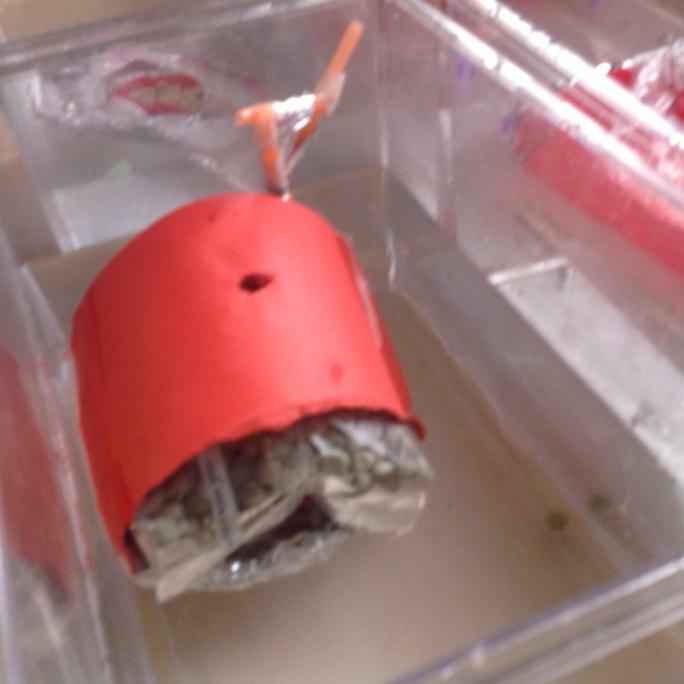 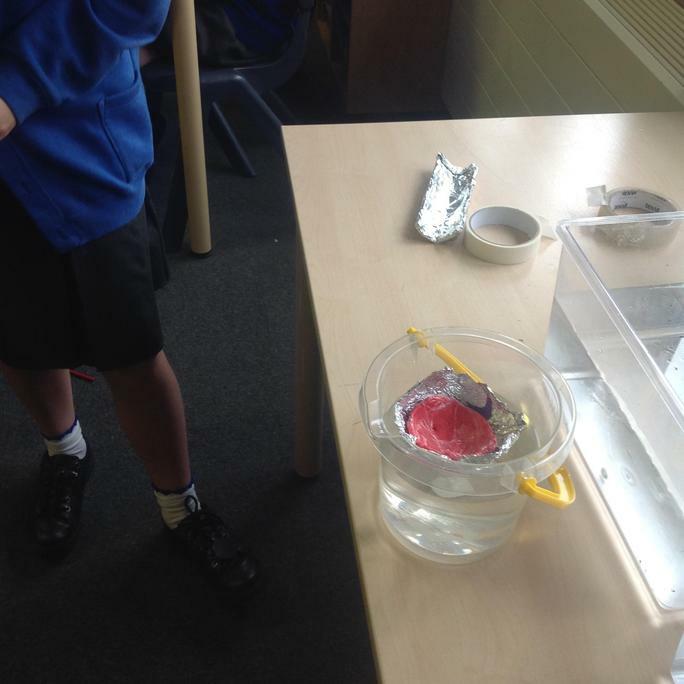 We tested if our boats could carry passengers (peas) and still float. 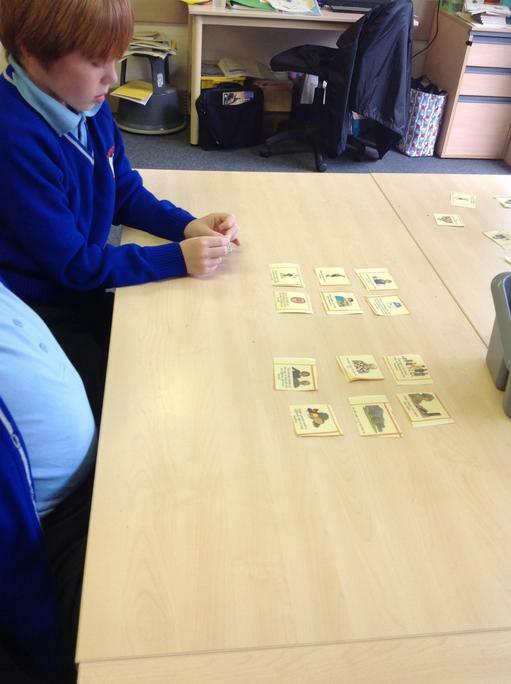 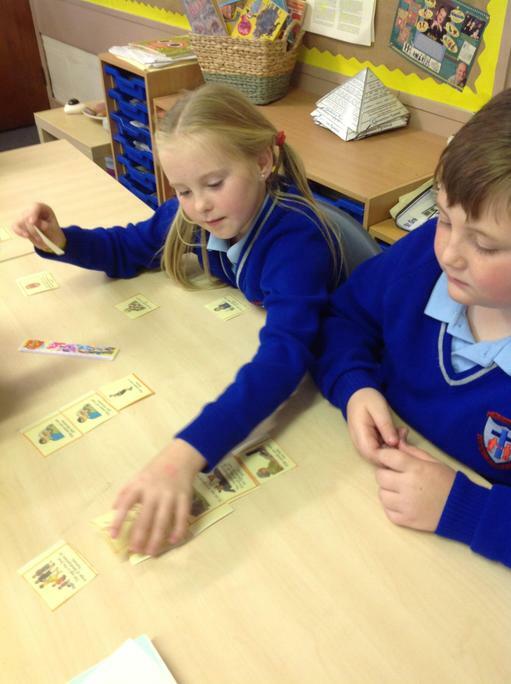 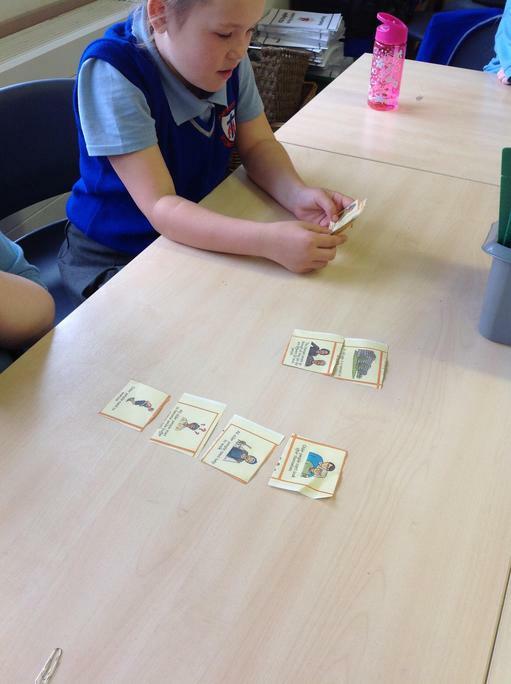 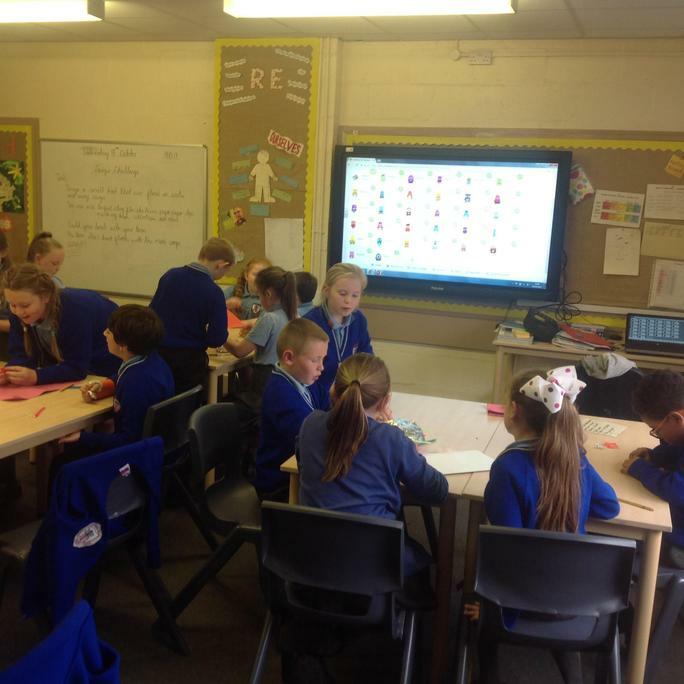 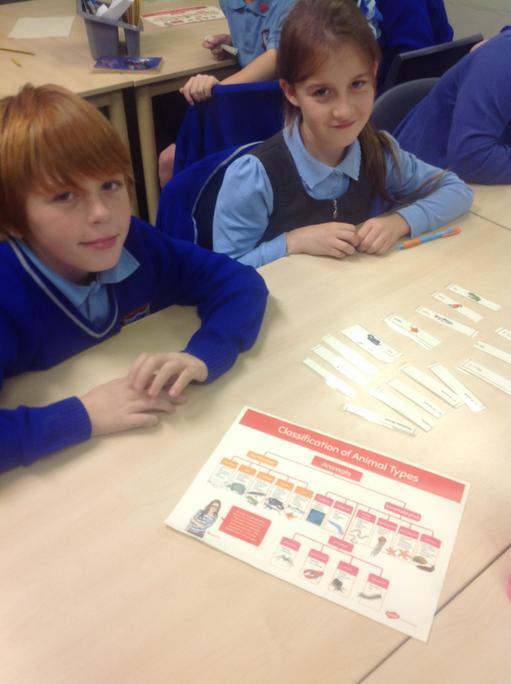 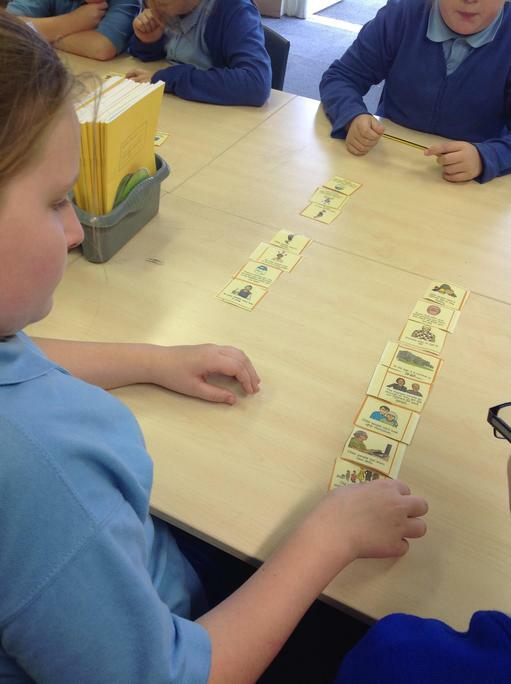 We have been learning about the 6 stages of human development; discussing the changes that take place between infancy and old age. 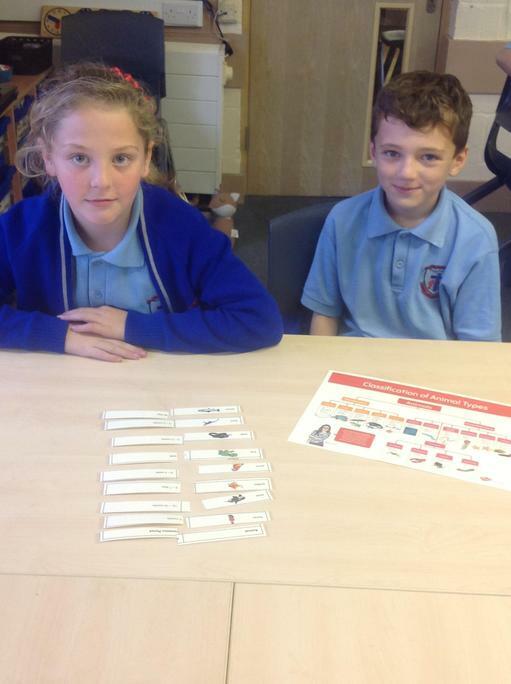 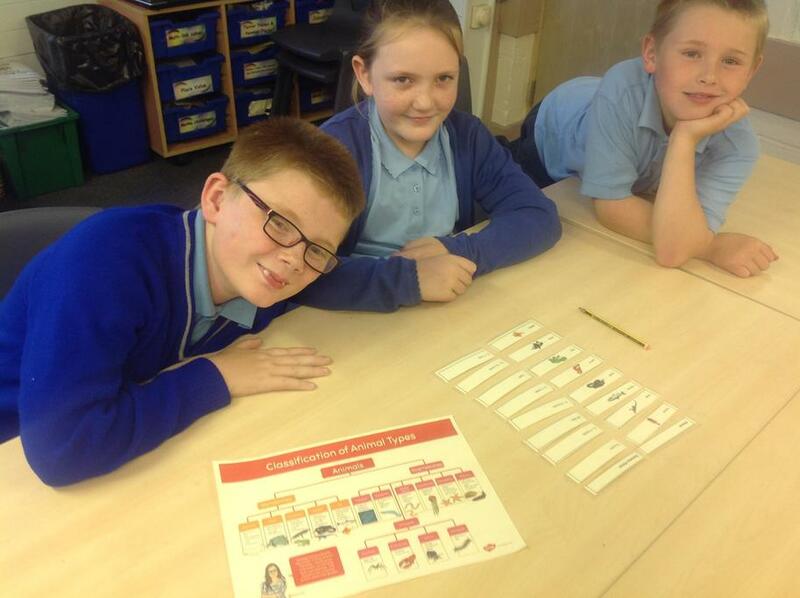 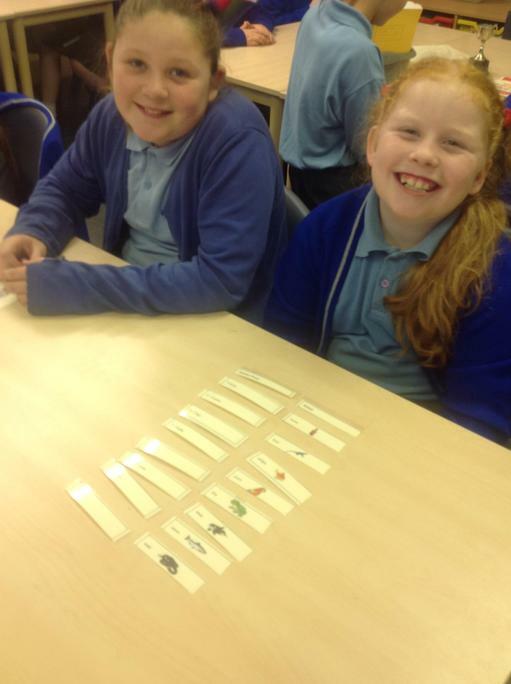 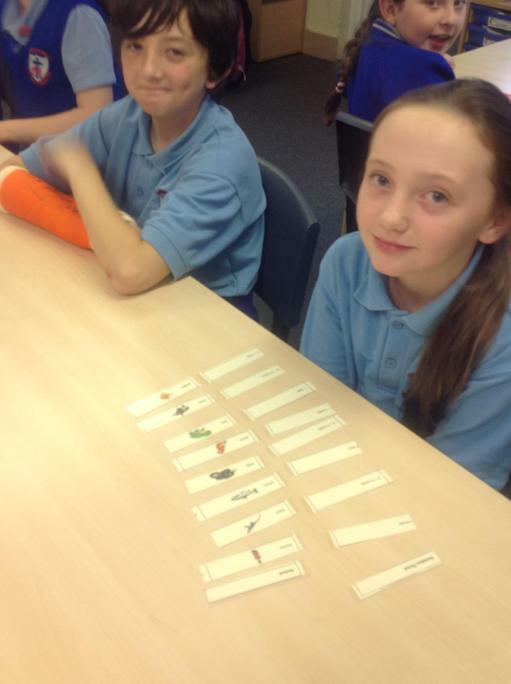 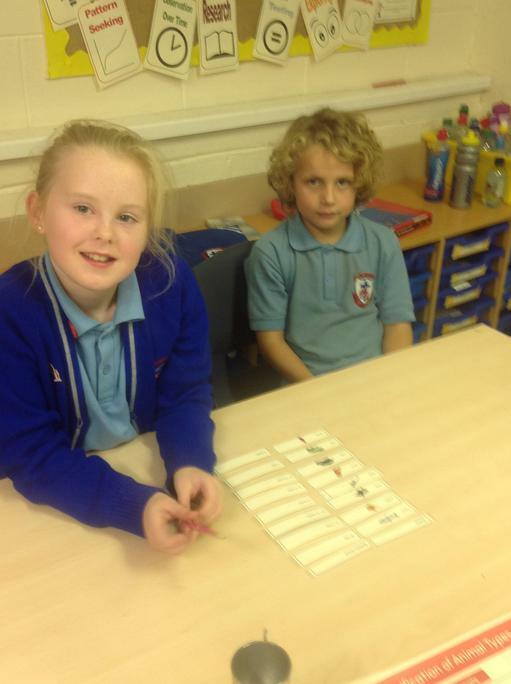 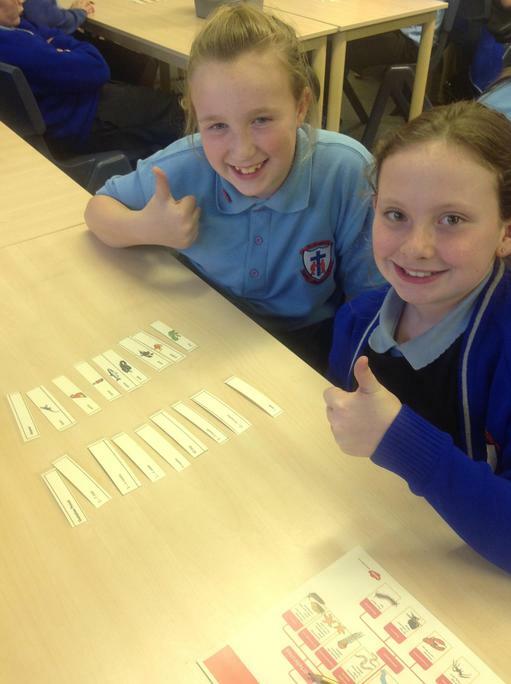 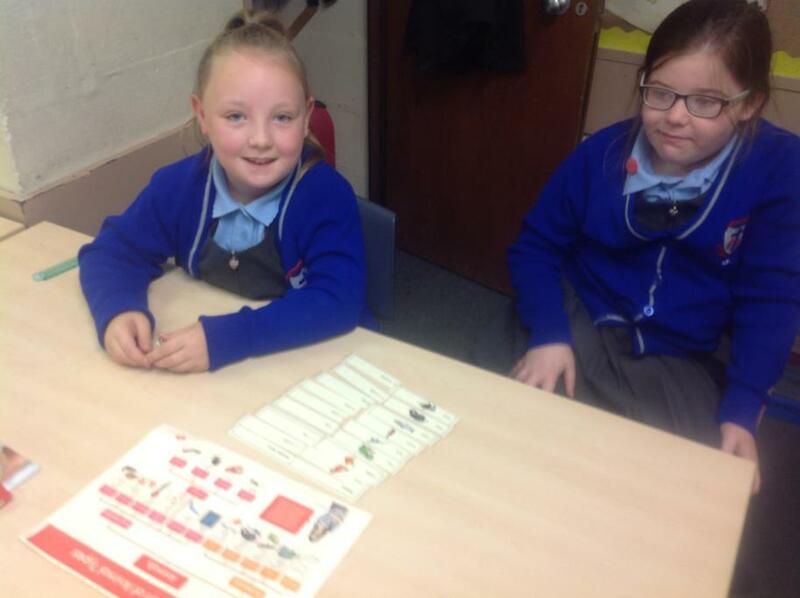 We have collected and compared data and classified animals based on their development. 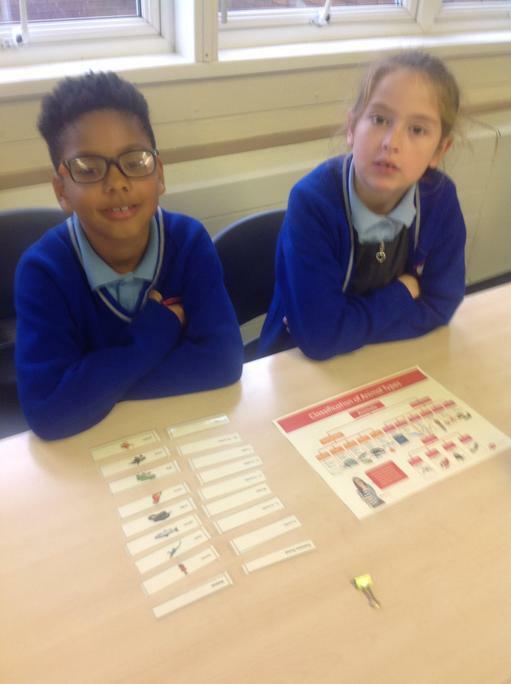 Please note: the pictures and information below are from the academic year 2016-2017. 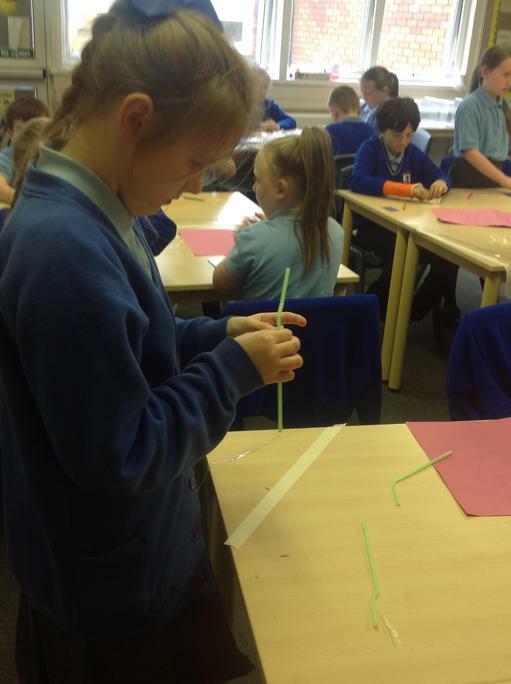 We went outside, drew around our shadows and measured them at 2pm! 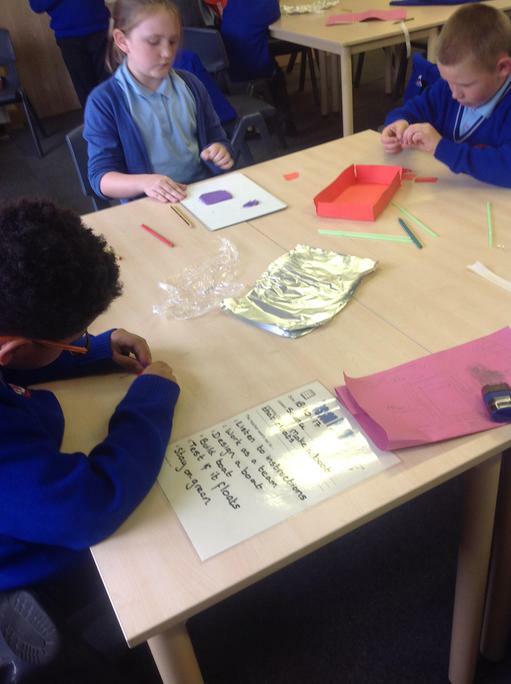 We are going to measure our shadows at different times to see if there is a pattern! 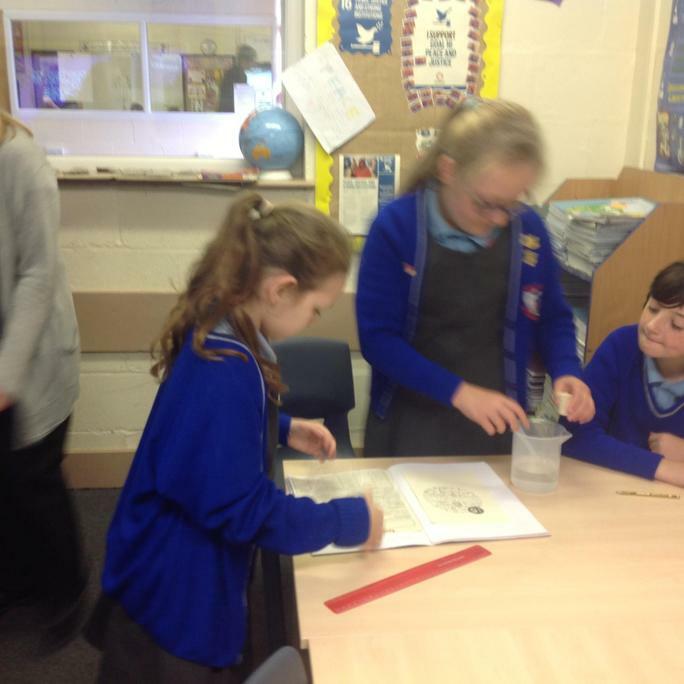 We explained how we have day and night using a globe, torch, black card and a Lego man! 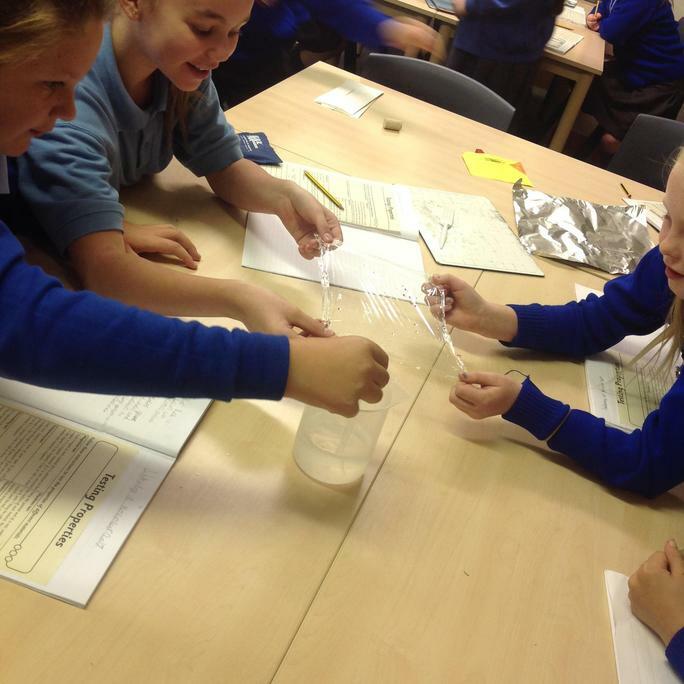 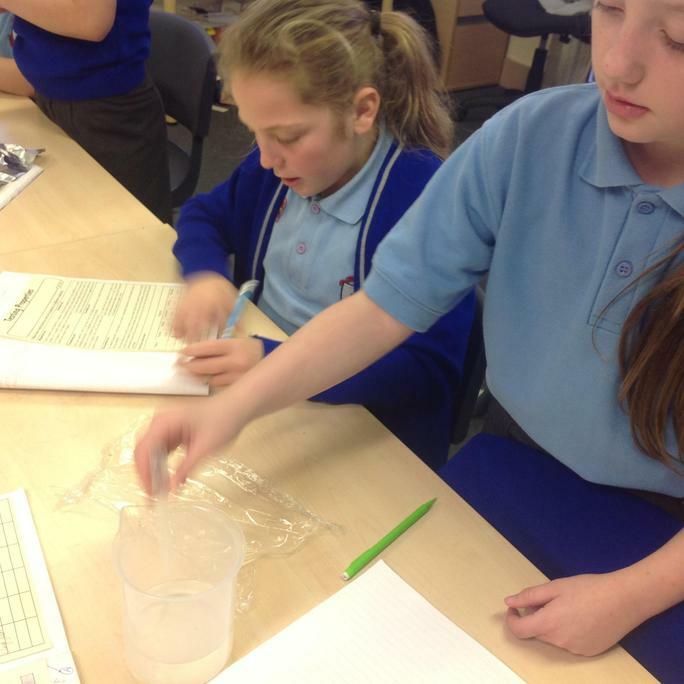 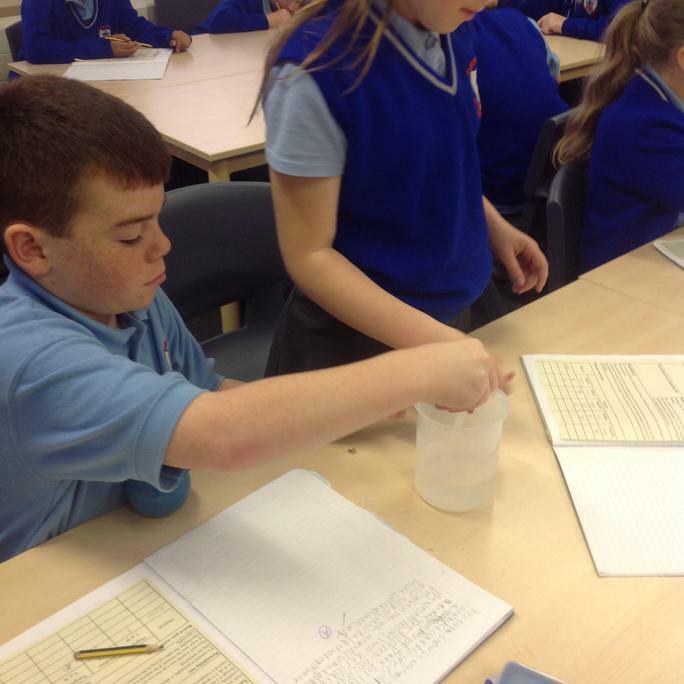 In Science we found that water was more dense than oil, as the water sank to the bottom when mixed with oil. 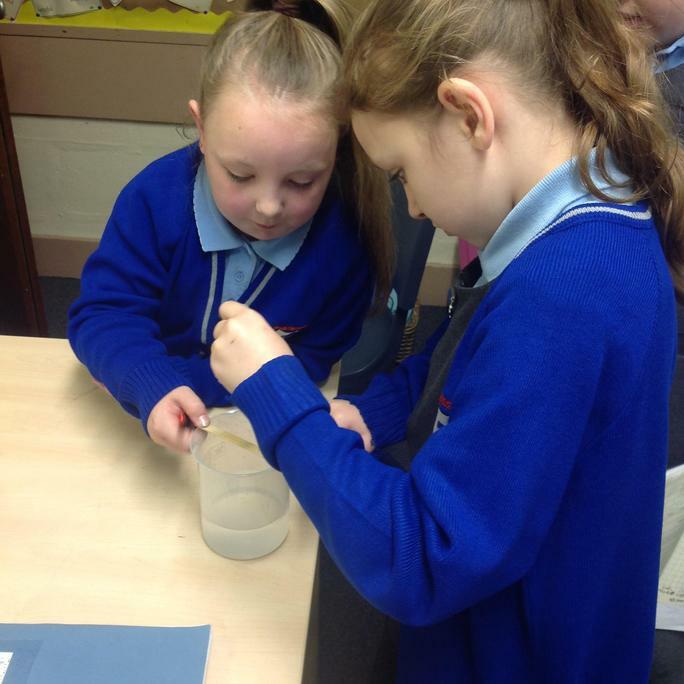 We also added food colouring and found that the food colouring was more dense than the oil but less dense than the water.